If you have browsed photo and video analysis on the paranormal circuit, you have likely read the work of elevenaugust. His contributions can be found on many discussion forums where readers have come to appreciate his practical commentary on often incredible topics. His posts address such cases as the infamous Chilean flying insects, the hoaxed Louisiana zombie and the Turkish 'UFO' videos that apparently turned out to contain reflections from yacht windows. Elevenaugust is Antoine Cousyn, a Frenchman who, along with countryman Francois Louange and Englishman Geoffrey Quick, launched a website designed to help users better understand and interpret yet to be identified images. IPACO.fr is dedicated to presenting state-of-the-art methodology for extracting objective information from digital still or video imagery. Standard expert analysis is offered in which photo/video files are examined at a cost of 50 euro, or about 65 US dollars. A report is included which provides either conclusions or a detailed price quote for further extensive analysis if justified by the initial review. The analysis service is a combined result of technical experience and the use of IPACO software, a product offered by the entrepreneurial trio. The software is available for purchase and was designed to provide users with easy to use features for identifying important data contained within images. It is described as highly interactive, with online user guides, customized training, ongoing maintenance and more. An analysis forum is located on the website where all matters of image analysis, including software products, may be discussed and explored. IPACO software packages start at 3,500 euro (about 4,500 USD). Cousyn caught the UFO bug and his resulting studies wound through such subjects as meteorology, astronomy and physics. His work with photos began in 2007 when the California Drones story broke. Francois Louange developed the specialized IPACO software. His impressive professional background, according to the IPACO website, includes work with the European Space Agency, where he provided technical expertise and once tried to persuade the ESA to create an official UFO-related department. He provided the French Defense with consultation services, which included developing Computer-Aided Photo Interpretation, known as the CAPI technique. Mr. Louange conducted photo analysis for divisions of the French Space Agency, specifically within the evolution of GEPAN, SEPRA and GEIPAN. He contractually produced some dozen technical reports on image analysis for France's Centre National d'Etudes Spatiales, or CNES. The CNES is charged with bringing space technologies to maturity and guaranteeing France's access to space. “Our methodology, as explained on the site,” Louange commented, “does not contain any scientific discovery, nor any magical tools to automatically explain UFO pictures. It is a review of what can seriously be done, with today’s techniques, to analyze a picture in which an apparently unexplained object or phenomenon appears. 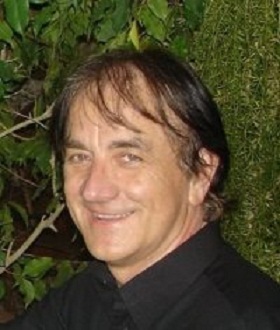 The partnership's third member, Geoffrey Quick, has extensive experience in image analysis. He is also reportedly experienced in global Air Force intelligence. What does IPACO mean? The short answer to that question is the name is an acronym, roughly translating in English to Interactive Picture Analysis of Celestial Objects. A longer answer provides a glimpse into the inside jokes of the international photo analysis industry. Cousyn indicated there are currently no plans to collaborate with the Mutual UFO Network, but he does not rule out future possibilities under the right circumstances. Commenting further on his experience with the infamous Drones case, Cousyn explained, “I think that this Drones story deserves its own book. However, as you know, my interest lies only in the photo and video documents, so I’ll very likely leave all the other aspects of this complex affair to other people more talented than I. When I say 'other aspects,' I mean ground research, chronology of facts, psychological aspects, etc. “As for the photo part, there are so many existing studies, analyses, discussions and various documents that it will probably take me a year or so to organize and properly put all the data on paper in a comprehensive manner. I guess that I’ll begin this long-term project once some other things stabilize a bit. Software demonstrations are accessible on the IPACO website, as are sample galleries containing case files. As one might expect, some of the images analyzed turned out to consist of too little data to provide conclusions and most were explainable. However, one of these days someone might just capture an image indicative of how so many of us ever caught the bug in the first place. Mostly, though, I considered how I would not be particularly concerned by such self-described investigators, the likes of the Mutual UFO Network leadership and their sensational proclamations if it were not for their claims of following scientific protocols. The subsequent damage being inflicted upon well intentioned individuals is also concerning. I can think of some pretty accurate descriptions of such activities and circumstances, and suffice it to say 'scientific' is not among them. People are entitled to believe anything they choose. They are not entitled to demand others agree or to do harm to others in the process. Neither are they entitled to describe extremely questionable theatrics bordering on intentional deception as scientific research. I asked microbiologist Dr.Tyler Kokjohn about circumstances surrounding the recent statements of Dr. Steven Greer of the Center for the Study of Extraterrestrial Intelligence. Greer claimed access to a possible deceased extraterrestrial biological entity, or EBE. He wrote on his blog that substantial resources were needed in order to conduct tests.